Whether you already own a website, blog, or company, or are just looking to break into the digital market, creating your own app is a great choice. But there’s a big difference between simply creating an app and creating one that will be successful. If you want to learn how to create a profitable app, keep reading for 10 essential tips. In the Apple App Store, you’ll find more than 2.2 million apps available for download. The Google Play store offers an additional 600,000 apps. 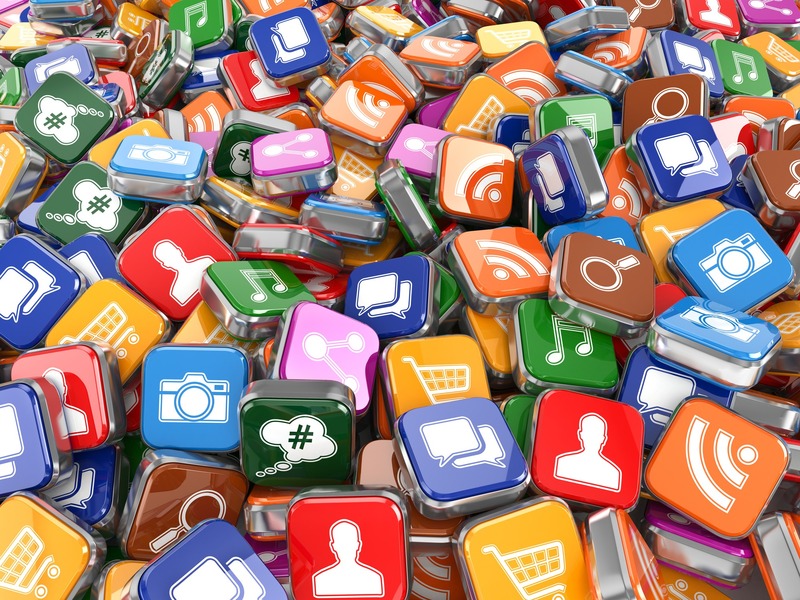 The sheer number of apps available online can be overwhelming for a budding app creator. After all, creating a profitable app that can stand up to the competition is tough. Which makes this first tip one of the most important ones on this list that you can follow. Starting with a unique idea is essential for the success of your app. While it’s unlikely that your idea is one that doesn’t already exist in the app store in some form, there are still ways to make even the most overused idea unique. Offer a fun spin on a popular game. Provide new and effective ways for app users to manage their money or time. Give your app stunning graphics or a beautiful, simple layout that sets it apart from other, similar apps. The more unique you can get, the better. This will make it easier to market your app. It will also make it easier for you to convince potential buyers that they need it, even if they already have a similar app on their phone or tablet. While uniqueness is essential for creating a profitable app, you may still need to reign in your creativity. Creating an app that is too complicated to use or that has an interface that is overly ornated and therefore crowded will hurt your chances of success. Users will fail to understand what the app does, and won’t bother buying or downloading it. Those who do download may lose interest quickly. They’ll delete it from their phone and likely warn others about their bad experience. It won’t matter how unique your app is or how great it looks if your users can’t figure out how to make it work. A simplified, easy-to-use interface is important. Even if your app will be targeting users with significant tech experience, they are likely downloading your app to simplify their life in some way. Maybe they are downloading a game to enjoy while taking a moment to relax from their busy lives. Or they’re downloading an app to manage their finances, track their schedule, or communicate with friends. Whatever the goal is, they aren’t looking to download an app that makes them work more. Make sure that they can quickly and easily find everything they need to make your app work. Once you have an idea for an app, it’s time to actually create it. There are tons of resources online that can help you create your own app. But keep in mind that without professional app development experience, the result won’t be a cutting-edge, professional app. If you want to ensure that your idea becomes the profitable app that you’re dreaming of, it’s best to leave the development to the professionals. The best apps and other digital products are those that create an emotional connection with their users. Consider the apps on your own phone that you use the most often. If you’re like many other smartphone owners, there’s at least one social media app on your top ten list. That’s because social media offers a way for us to keep tabs on our friends and loved ones. We check back often for exactly this reason. Creating an app that gives users a way to connect with the people they love or something they’re passionate about is a great way to create a profitable app. Not all apps create an emotional connection. Luckily, there are other ways to create a profitable app. Rather than creating a connection, try to solve a common problem. If your app offers a solution that users need, you’ll get guaranteed downloads, shares, and profit. When your app finally makes it into the major markets, its name will be one of the only chances you have to attract downloads. Choosing the right one will give your app the best shot at success. Make sure it’s a name that isn’t too similar to another app. Try to choose one that gives some indication of the apps function. Finally, choose something that’s easy to pronounce and spell. The best apps are simple and catchy so that your users can easily tell their friends about them. While hiring a professional app developer will help you land an awesome looking, functional app, you shouldn’t give up all control. If you outsource all of the planning and developing, you won’t get to see how your idea goes from your head to production. Instead, it’s better to choose a developer that allows you to be a part of the process. You’ll get to see your idea become a reality. You can give input and make changes along the way. This will help ensure that the end product is exactly what you had in mind, and is an app that your clients will love. Once your app is built, but before it goes public, run some tests. Many new apps have bugs that need to be worked out. Or they have functions that don’t quite run like they were supped to. Work with your developer to make sure that your app is performing the best it can before you start selling and marketing it. Finally, once you’ve launched your profitable app, to keep it profitable, continue to make updates and changes for the life of your app. Launching an app and then leaving it alone won’t keep the profits rolling in. If your app begins to become outdated or doesn’t change with the times, users will stop using it and the downloads will stop. Now that you know a few tips for creating a profitable app, it’s time to get started on your own. If you’re ready to see how a professional developer can help bring your ideas to life, contact us today!